Per UFC President Dana White, Whittaker will headline in Australia on a rumored date of February 10th against top contender and fellow The Ultimate Fighter coach Kelvin Gastelum at UFC 234 in Melbourne. While White claims they’ll announce it officially “when it’s time,” the UFC president did confirm the fight will be in Australia, where Whittaker was set to defend his title for the first time at UFC 221 in Perth but would be pulled due to an injury. The UFC is looking to leave nothing to chance with this card due to potential injury to either champion or challenger and have slotted former middleweight champion Chris Weidman as a potential alternate. 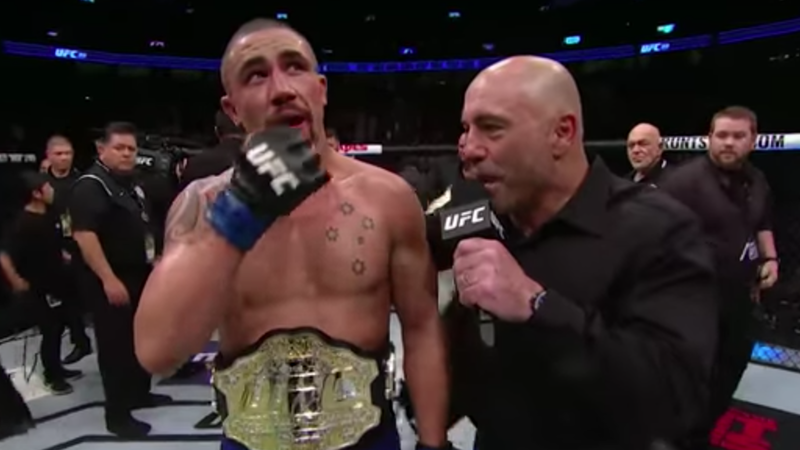 Both Whittaker and Gastelum coached against one another on the most recent season of The Ultimate Fighter, as Whittaker looks to earn his tenth straight win inside the Octagon and follow up his most recent defense in June against Yoel Romero at UFC 225. Gastelum gets his first title inside the Octagon, following wins over Jacare Souza and Michael Bisping.